The Gatekeeper of any trail controls access or entry. Sometimes it might be subtle, while other times it may be one of the most difficult obstacles on the trail. On a locals trail in Northern Nevada, we have access to one of the nastiest Gatekeepers around. Lucky Canyon's Gatekeeper is unforgiving and refuses entry to anyone scared of body damage. The Gatekeeper is the entry point much like this wheel. If you are looking to get some real beadlocks at a great price then you've found it. 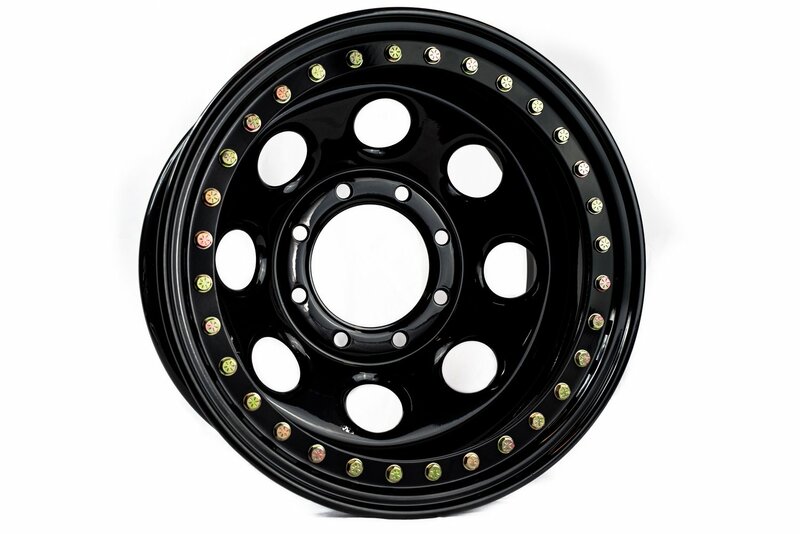 These classic steel beadlock wheels are made with a 32 bolt outer beadlock ring that clamps tight to the tire bead with grade 8 bolts. These wheels are only available with 3.5" backspace from now on.